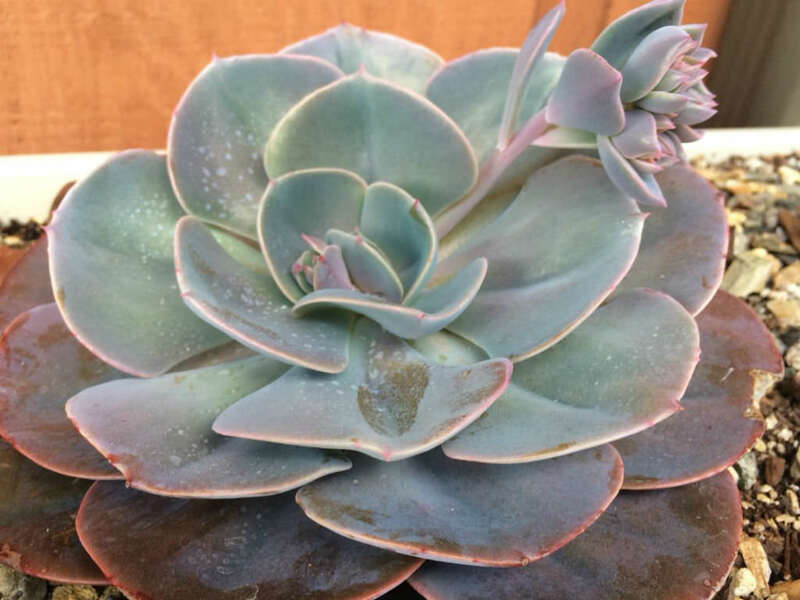 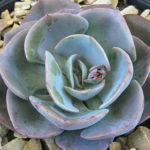 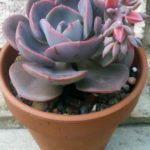 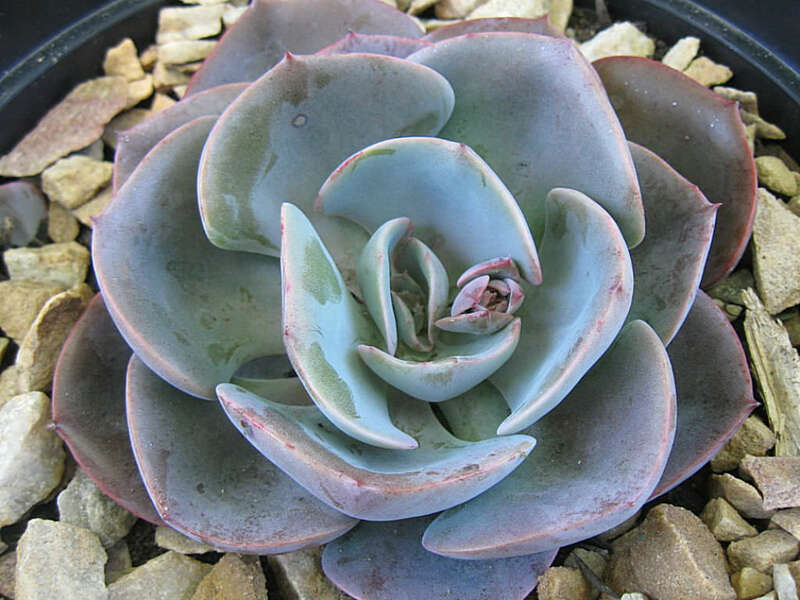 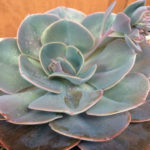 Echeveria ‘Dusty Rose’ is an attractive, succulent plant that forms fast growing rosettes of powdery violet leaves. 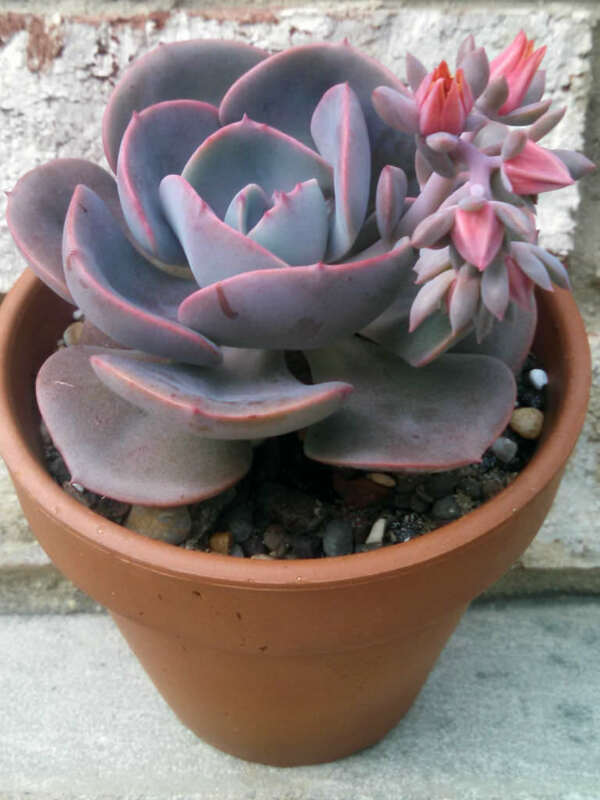 The beautiful color on these succulent only gets better with more sunlight. 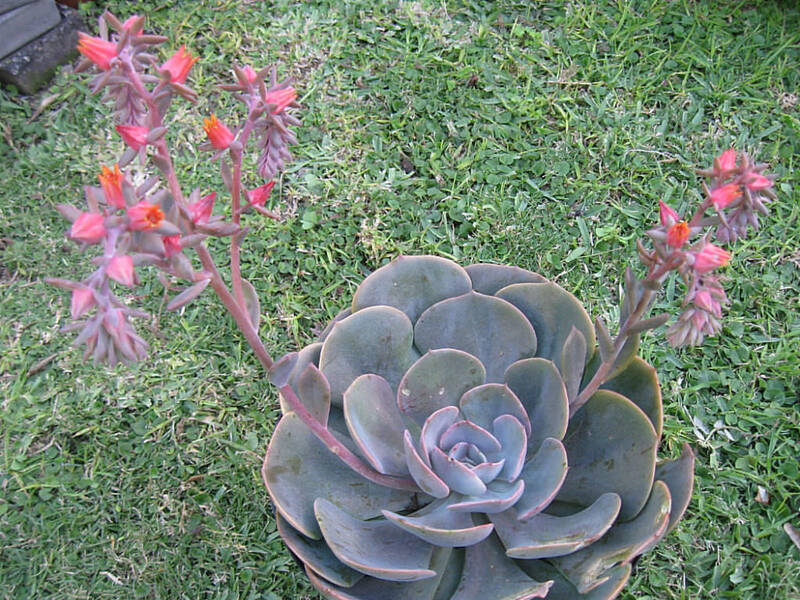 It offsets freely to form attractive clusters up to 8 inches (20 cm) in diameter in time. The flowers are orange in color.